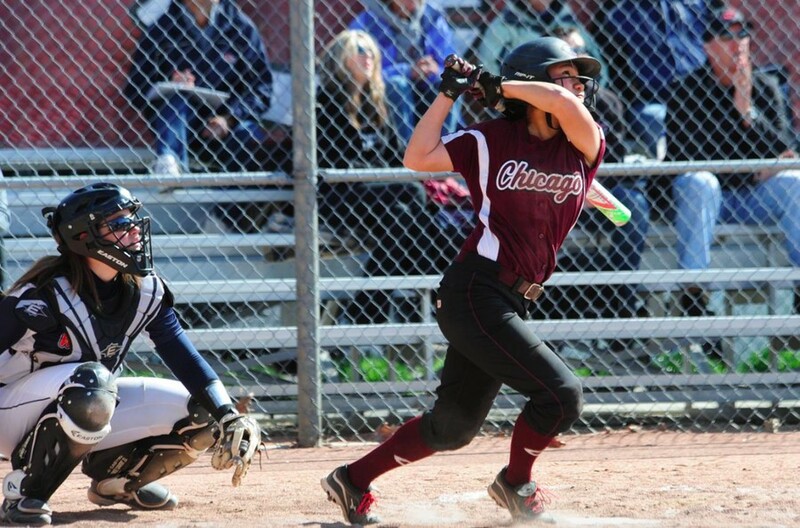 The UChicago Softball team only managed to score two runs in both games of their double header against Wheaton, but that was all they would need, as the Maroons held the Thunder scoreless in a total of 15 innings. The excitement of the squad regarding the wins is palpable. “We played fantastic defense to keep them off the board and most importantly, took advantage of our chances to score. It was a fantastic sweep for us to get, and we played some of our best softball to get the wins,” fourth-year Jordan Poole said. Pitching was certainly on display for the Maroons as Poole was able to complete her second no-hitter of the season. Wheaton’s arms were on point as well, however, as the Maroons were held scoreless through seven innings, until the top of the eighth, where first-year outfielder Serena Moss was able to deliver with an RBI single. Poole was able to secure the win in the bottom of the eighth, which was similar to her win over Hope College this year in which she took down the Flying Dutchmen in eight innings on April 21. Classmate Devan Parkison praised the defense for their recent play: “During our past few outings, and especially our sweep over Wheaton, our pitchers and catchers have been so incredibly strong. Jordan and Molly's ability to keep teams to a low number of hits and runs is a solid foundation that is important to our team wins,” she said. In the second half of the double header, the South Siders faced off against the same pitcher from the first game, fourth-year Katie Thornton. Although Thornton’s success could be relatively intimidating, second-year Molly Moran stepped up to the task of holding the Thunder to zero runs for another seven innings. She improved her record to 8–3 on the year and leads the team in ERA at 1.55. The offense was propelled by first-years as classmates Colleen Bennett and Carly Schulz teamed up to score the winning run in the fifth inning. Moran was then able to stay focused and finish the game, sending the Thunder home scoreless. Coming up this week, the squad faces No. 12 Illinois Wesleyan in their first double-header against a ranked opponent this year. The Spartans are 27–7, but early this year, they split with UW-Whitewater, just as the Maroons did. The games start on Tuesday at 4 p.m. and 6 p.m.
Just the next day, the South Siders take on Elmhurst in a Senior Day double-header. The Maroons will honor four fourth-years that have played an integral role in the success of the Chicago softball program: Kathleen Kohm, Kristin Lopez, Devan Parkison and Jordan Poole.